Kim and her 7 grandchildren! They love Richard the Donkey! 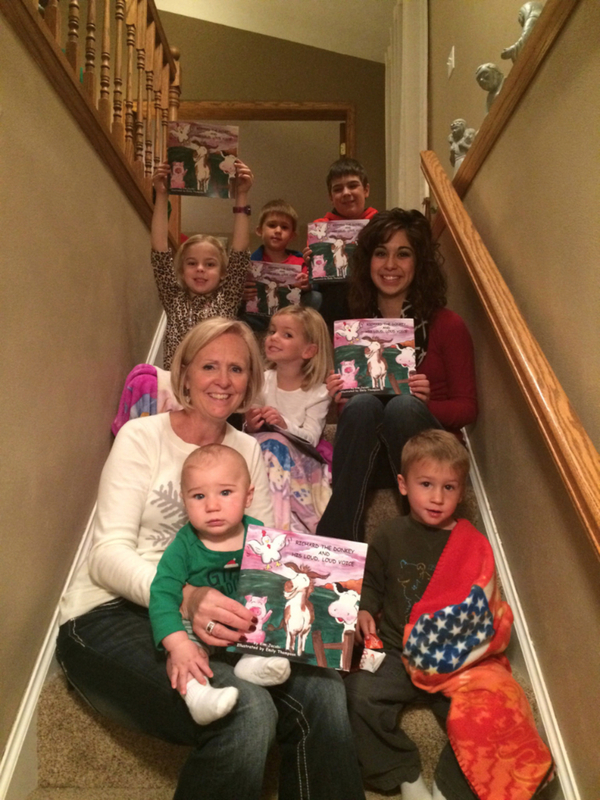 Kim Jacobi is enjoying the publication of her first children’s book! Kim grew up in a small, quiet town in Eastern Iowa and after marriage moved to a nearby farm. She and her husband have resided there for nearly 35 years while raising a son and two daughters. They have been blessed with seven grandchildren who love spending time on the family farm and interacting with all of the farm animals. The family has enjoyed many wonderful adventures together while raising corn, soybeans, cattle, Belgian horses, chickens and not to be forgotten…..donkeys! A three a.m. “HeeHaw" by Richard the donkey became the inspiration for this children’s story on how we might use our loud voices for good! Kim thoroughly enjoys classroom visits, book signings and supporting local efforts to promote literacy. The mission of Dolly Parton's Imagination Library and From Cover to Cover is to increase childhood literacy by offering free books to young children and their families. A portion of Kim's book sales will be donated to children’s literacy programs through The Lincolnway Community Foundation in DeWitt, Iowa.